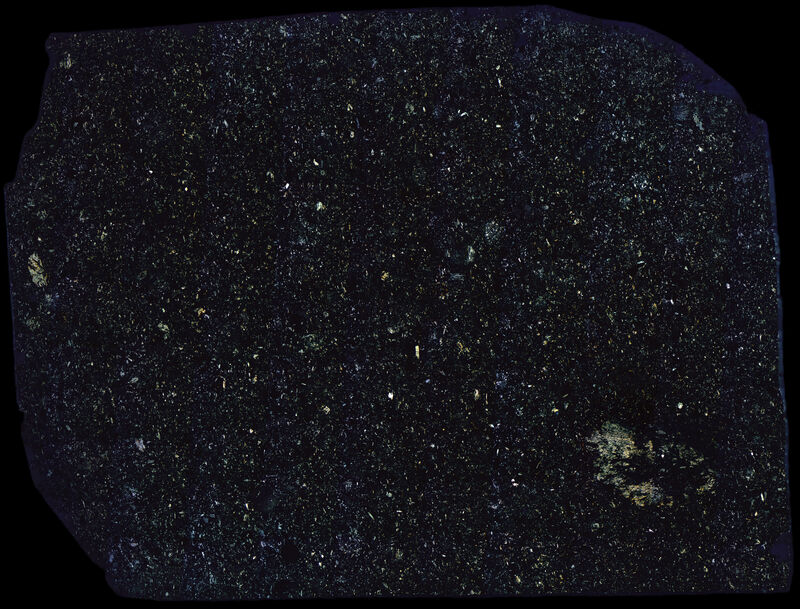 Abee Meteorite thin section specimen. The photos were taken under blue cross polarized light. Abee is an example of the enstatite chondrite class of meteorites. The E Type chondrites are know for their reduced state and contain very little oxidized iron. Instead the iron is either metallic or joined with sulfur. They are mostly composed of their namesake magnesium rich orthopyroxene silicate mineral, enstatite. For more information see page 115 in Norton’s The Cambridge Encyclopedia of Meteorites. Picture of Abee main mass with additional information.